“We need to live for something bigger than ourselves and we have to love it”. Passion. It is what great chefs have that inspires them in the kitchen. 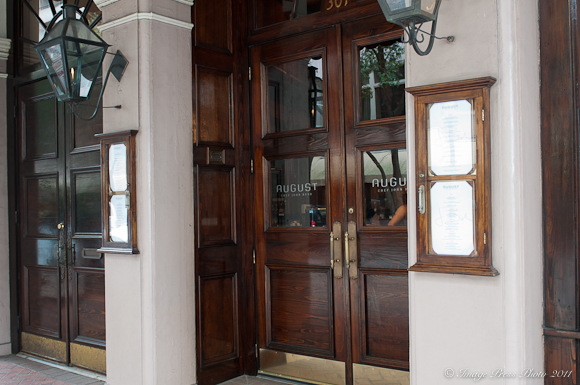 Extraordinary passion and a genuine love for a place and its people is what I found when we were with Chef John Besh at his Restaurant August in New Orleans just a few months ago. John Besh gets very excited when talking about the food and cuisine of his region and how it impacts almost everything in his life, both personally and professionally. We wanted to learn more about where this passion is heading, rather than where it has been. “In the 80’s and 90’s, we chefs flew everything in from around the world. We were distracted from cooking what we were familiar with. We have now matured enough culinarily in this country to where we can truly appreciate the regions, especially in the South. The growing seasons and conditions are perfect for it and are right for the new wave of chefs hailing from the South. One of the ways that Besh is trying to help foster and support some of the young chefs of the region is through his newly created John Besh Foundation and the Chefs Move! program. The goal of this initiative is to provide scholarships to the French Culinary Institute for talented minority chefs and then offer them an internship in one of the John Besh restaurants upon graduation. According to this article in The Root, there are only a small number of black chefs who have achieved high-profile success in the restaurant world. The Besh Foundation wants to change that. I have to admit that I cheered heartily when Chef Besh didn’t make it to Iron Chef America. He’s too good for a Food Network show. Once Chef Morimoto is gone, the show is finished (my opinion). Like many, ICA was my introduction to Chef Besh and I was immediately drawn to what can only be called a gift. He’s amazing. I’m so, so very envious that you were able to meet him in person. How amazing it must have been to be in the kitchen with him and his staff. Thanks for sharing the experience. I love John Besh. There, I’ve said it. Always thought he was robbed of being an Iron Chef; but now I’m in agreement with the previous comment…he’s too good for Food Network! Thanks for sharing this experience and lucky you! Bravo – great interview, Gwen, and beautiful images, too! 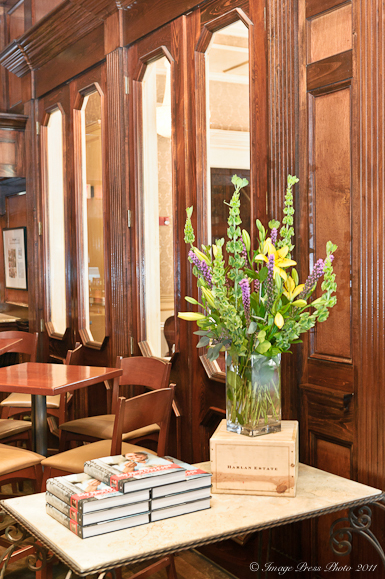 The August space is so elegant with the fabulous wood treatment (is it Pecan, Mahogany?) and Mr. Bunkycooks should be proud of the prawns and dessert photos (OMG – YUM! ), not to say wooly pig, young Chef Jackie and Eric, and you, too! Chef Besh certainly walks the talk. I’m so impressed with his local philanthropic pursuits. It’s all about working from the ground up and he really gets that. I’ve ordered his book and look forward to adding it to my special cookbook collection! What a neat opportunity for you!!! I love John Besh! He’s such an amazing chef and even better person. You can tell he loves his craft and has his heart fully in it. 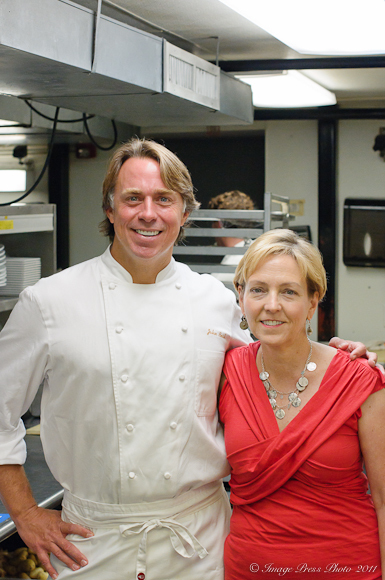 A few years back, my younger brother photographed John Besh for a magazine. He said he was a very nice guy. He also brought home some pastries that Chef Besh made. They were the best pastries I have ever had. I have followed his story since then and hope to meet him one day. I enjoyed the interview and pictures. Thanks. 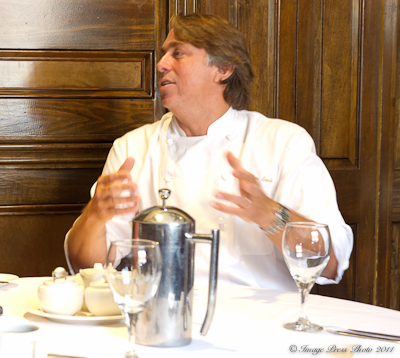 What an insightful interview with Chef John Besh. I admire him even more for his foundation and its pursuit to provide a healthier life for the underprivileged. How lucky you are to have been able to dine there twice. The prawn dish looks beautiful. I’m with Jamie…you are so fortunate to have spent time with him at his restaurant. What a great interview. It was incredible to hear him speak with you a few months ago. He is generous and kind and a dynamic public speaker. Wow, what a great experience to get that behind the scenes look!